Her family has been campaigning for her to be allowed access CBD oil. 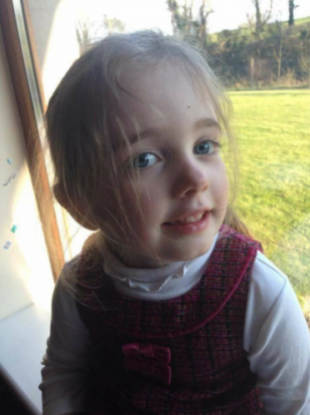 AVA BARRY WILL be home for Christmas, her mother Vera has confirmed. The news comes after Health Minister Simon Harris confirmed he has signed a licence for Cork girl Ava (7) to use medicinal cannabis. Vera Twomey has been leading an ongoing campaign to allow her daughter Ava to receive such products in Ireland to help with her condition. Ava suffers from a severe form of epilepsy called Dravet Syndrome, and can suffer from several seizures a day. CBD is a cannabidiol and is legal in Ireland because it does not contain any THC, the psychoactive part of the cannabis plant. In a video posted to Facebook today, Vera Twomey confirmed the news. “Ava has been granted the licence for the medical cannabis and we are coming home. I want to thank everybody die the support and everything. We will be home for Christmas and Ava is doing really, really well. The family had been living in a rented apartment in The Hague, where they said that Ava’s seizures have completely stopped since she started taking one drop of cannabis oil three times a day in the Netherlands. Vera made headlines late last year as she started a walk from Cork to Dublin to raise the plight of her child. Email “'We'll be home for Christmas': Ava Barry granted medicinal cannabis licence”. Feedback on “'We'll be home for Christmas': Ava Barry granted medicinal cannabis licence”.